Ryohin Keikaku opened Muji Shinjuku on July 26, 2008 . 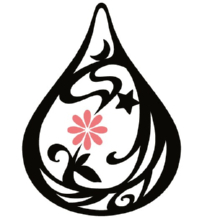 Muji (無印良品 Mujirushi Ryohin) sells a wide variety of household and consumer goods.It is famous for its minimalist design, emphasis on recycling, avoidance of waste in production and packaging, and no-logo or no-brand policy. 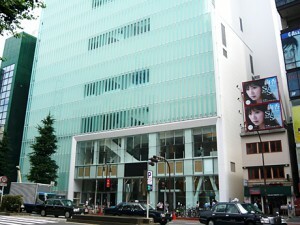 Their new flagship store is located in the Shinjuku Piccadilly cinema complex （新宿ピカデリーシネマ） in Shinjuku. 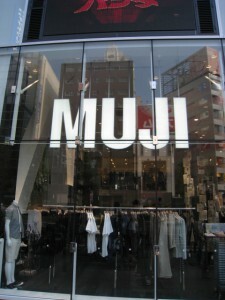 They have also launched Muji Labo (ladies’/accessories) and Real Furniture (interiors). The store covers an area of about 1,421 m2. The Cafe & Meal Muji eating/drinking zone is on the first basement floor, which targets women in their 20s to their 40s. 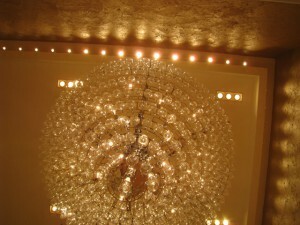 The space has about 100 seats, and features a chandelier made of wineglasses.